Mark Pritchard is Thirty-Ninth Street Strategies International Advisor. He is a highly qualified marketing and communications practitioner with over twenty years’ experience advising major United Kingdom and international companies, including Tesco, Swisscom, Tricon International, and UGC. He is a Member of the United Kingdom Parliament. Mark holds a Master of Arts degree in International Diplomacy and another Master of Arts degree in Marketing Management and a post-graduate Diploma in Marketing and a post-graduate Diploma in Public Relations. He is a Member Royal Chartered Institute of Marketing, Chartered Institute of Public Relations and an Associate Member Market Research Society. Mark is appointed, by the British Prime Minister, to the Council of Europe (PACE). He sits on the Council of Europe’s Migration, Refugees & Displaced Persons Committee and Gender Equality Committee. 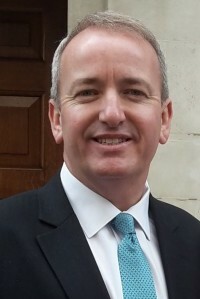 Previously, he was appointed by the Prime Minister and served as a member of the UK’s Joint National Security Strategy Committee, and by the Foreign Secretary as a UK delegate to the NATO Parliamentary Assembly (2010-2015). Mark is also a Member of Mr. Speaker’s ‘Panel of Chairman’ – and as such Chairs Parliamentary debates and legislation. He recently chaired The Modern Slavery Act through the UK Parliament. Mark has served in a variety of domestic and international foreign policy, trade, security, energy, environmental and defense positions. In 2011, The London Evening Standard named Mark as one of London’s top 1,000 influential people. Mark’s focus at Thirty Ninth Street Strategies is on European marketing communications and issues management. Mark is Thirty-Ninth Street Strategies key strategic adviser on European and BREXIT issues.